Features 9 female characters from popular games. A set of CG images and novels about Monster H*nter, featuring Kirin, Born, Battle, Helper. Aya**koji Reimu stands up to fight the danger in the city, but what was waiting for her was a bunch of perverted and cruel bug succubae. This is a CG collection featuring swimsuits, based on Ki*i's Delivery Service. A CG picture collection about a big-breasted girl who is forced to put a collar around her neck. Volume four of the original paper crafts from JEGANDOU! A set of CG pictures which parodies a comic which caused a buzz in early '90s in Japan. 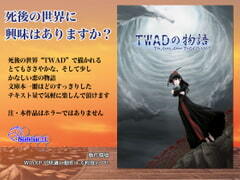 This set also includes vol.0. This is the story of an average perverted day in the life of an older brother and much younger sister. I drew some characters which I liked in the animes aired in '07 Winter. This is the sweet and slightly sad story of love in the afterlife. 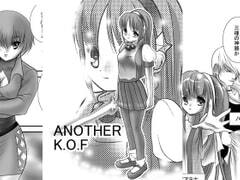 This is a serious story of the now rare KOF series. It's an Orochi story. 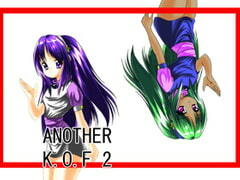 This is the 2nd chapter of the serious work ANOTHER K.O.F based on the KOF series. 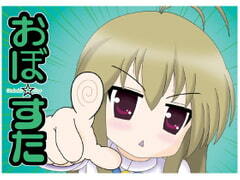 Somewhat, Mizuho happens to be a character of LUCKY S*AR! Includes Obosuta (released at Comic Market 72), and Obosuta 2 Piece (released at Comic Market 73).